I love using vintage map images as backgrounds. 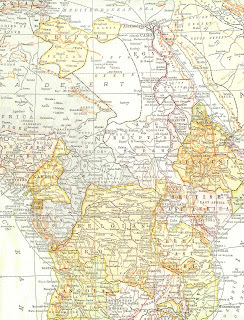 This is a digital background paper I created using a vintage map of Africa. I love how each country is colored differently, making it such an interesting and colorful element in any project. Enjoy!